This is cool. Like the colours and the big hair. Girl with book - but pic title says she's Hermione. Harry Potter animated adventures? 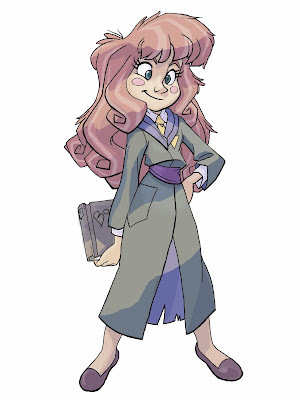 Yah the drawing based off Hermione. I'm doing animation lip test to a wav file from harry potter movie so I re-design her to be more animation friendly. Awesome! Makes me totally psyched for HP6 (not that I need much else to get me psyched haha) This is great Phil! I can't wait to see how you animate her! Very appealing design, I like it! wanna see this animated! im interested to see how the rest of the cast would look in your style!